The manifold benefits of playing roulette, poker or other online casino games with live dealers is making these types of online casino experiences increasingly popular. As well as being a more sociable experience, playing a game that has a live dealer adds an element of immediacy and authenticity that can be lacking when you simply play ‘against the computer’. Theoretically, almost any casino game could have the addition of a live dealer directing the gameplay. Five games are more commonly played with a live dealer, though, and these are roulette, poker, baccarat, blackjack and sicbo. If these are your games of choice and you have already been playing them against the computer, try playing them with a live dealer. This will take the game to the next level! One reason that live casino games were set up is because some long standing players of computer generated casino games noticed that with certain casinos the house edge was suspiciously high. That suggested that the casino was weighting games such as blackjack and roulette too much in the players’ disfavour. The introduction of a live dealer eliminates this worry as players can watch the dealer dishing out the cards or spinning the wheel. Simultaneously, live casino games tend to display game statistics to the side of the screen so that players can keep track of the house edge and the distribution of winnings for a given session. 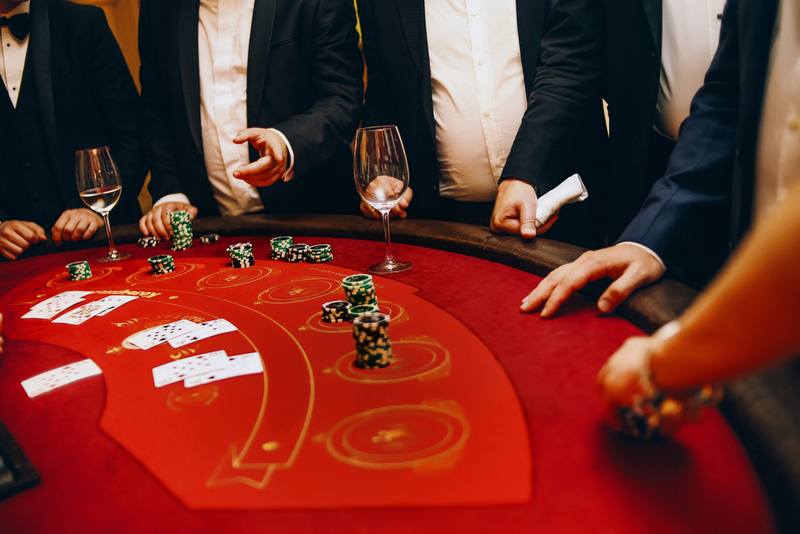 A charismatic dealer will make a casino game much more enjoyable, and a good dealer will have a high level of expertise about the game in question so that they can make accurate calls every time. In bricks and mortar, the lion’s share of a good dealer’s earnings (which can total around £30, 000 to £40, 000 per year) can come from tips. In online live dealer games, too, players are often able to tip the dealer. Interacting with the dealer makes a casino game more thrilling and unique. Some online casinos use videochat technology to enable all players to see each other’s faces, too. Connecting with other people all around the world makes playing at an online casino wonderfully exciting. If you enjoyed the sociability of sitting round the poker table in a land based casino, playing a live dealt game online can enhance this experience even further. This is because the players are tuning in from various points around the world. Games with live dealers require excellent internet connections from all players; a glitch at the wrong moment can cost you a substantial sum. Usually, a casino with a live dealer will ask you to run a test on your internet connection before you can play, and it may cut you out of the game if your internet connection keeps failing. Higher deposits may be required for live dealt games, too, because an enhanced service is being provided by the casino. Additionally, whereas with automated casino games you can start playing at any time you like, with a live game you will be required to tune in at a specific time so that all players can begin the game together. Plenty of casinos will be offering games with live dealers today. Try out some live roulette or live blackjack for yourself and see if you do indeed find this form of casino experience more thrilling, authentic and sociable.